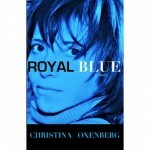 NEW BOOK Available at last! 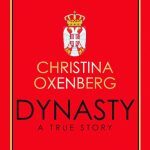 have you books signed & personalised to you by the author: Christina Oxenberg! Your order may not be authentic without it being signed, sealed and inked with the Wooldomination stamp of approval! Don’t be fooled! get the real thing…here and now! Photos include me with: Patrick McMullan, HRH Prince Dimitri of Yugoslavia, Anne Hearst Mcinnerney, Jay McInnery, Carl Bernstein steven Gaines, Lady Liliana Cavendish, Taki, Crisitina Cuomo, Michael Mailer, Bettina Zilkha, R. Couri Hay, Robert Couturier, Pamela Gross Finkelstein, Millie De Cabrol, HRH Prince Michel of Yugoslavia, Carmen D’Allessio, Muffie Potter Aston, Benedetta Pignatelli, Christian Currey, Marian & Francesco Galesi, Taylor Plimpton, Mrina Maher, Alina cho, Stanley Fareff, etc., etc….